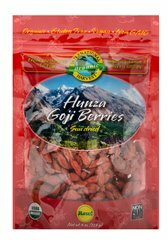 Certified Organic Goji Berries are one of the most nutritionally-rich foods on the planet, packed with vitamins, minerals, protein, and antioxidants. Also known as a wolfberry, they are considered a complete source of protein and an incomparable amount of amino acids, vitamins, protein, iron, and other nutrients. No Artificial Color, Flavor or Sweetener, No Starch, No Milk, No Lactose, No Soy, No Gluten, No Wheat, No Yeast, No Fish, Sodium Free. With Next by Nature you will taste the organic dried fruits, nuts and snacks coated with dark chocolate the way it was meant to be, the Next way. 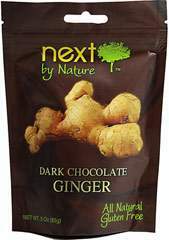 True ginger, true dark chocolate, truly delicious. Ginger is crystallized in sugar to create a chewy, spicy sweet treat. Right from the ginger root, it is perfect as a spicy snack, for a cup of tea, or an ingredient in cooking and baking. Has a unique combination of sweet, spicy, moist and chewy. 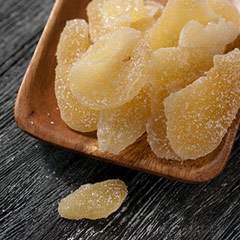 Crystallized Ginger Medallions, sweetened with cane sugar. They are both hot and sweet at the same time. 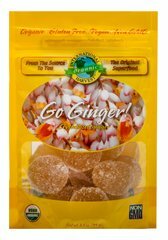 Many people know Ginger as Nature's Best Candy!